Have You Ever Wondered What It’s Like to Work In a Shelter? Each year, the APA helps nearly 3,000 pets find safe, loving homes of their very own. In addition, we take care of several thousand more pets through our low-cost veterinary wellness clinic and community outreach programming. To accomplish this, it takes a team of talented and extraordinarily dedicated individuals. We love what we do. People often ask, “what is it like to work in an animal shelter?” Thanks to our partner, Purina, now we can show you. St. Louis (Sept. 19, 2017) – The Animal Protective Association Adoption Center (APA) is hosting its 27th annual Canine Carnival in Tilles Park (9551 Litzsinger Road), Sunday, Oct. 1, from 11 a.m. to 3 p.m. 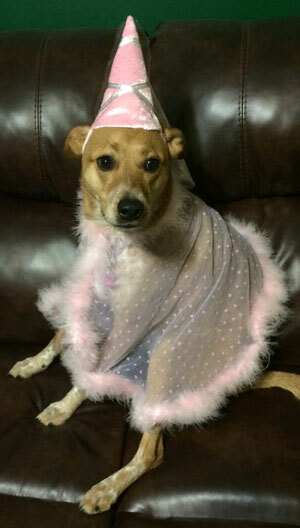 The carnival celebrates the bond between people and their pets, while raising funds for homeless pets in and around the St. Louis metropolitan area. The family-friendly event will feature games for humans and dogs, food trucks, a beer garden, music, children’s activities and games, and on-site dog adoptions. Tickets are required for the event and can be purchased in advance and the day of the event. Details of the event and tickets sales are available on the APA’s website at www.apamo.com. Dogs who are well-behaved, up-to-date on vaccinations and on a leash, are invited to share in the fun and are encouraged to come in costume. The event culminates with the crowing of the Canine Carnival King and Queen. Other awards for dogs will be presented for Best Trick, Best Kisser and Best Costume. Tickets available online at apamo.org or the day of the event. It is a prestigious and rare honor to be nominated for the APA’s Canine King and Queen at our annual Canine Carnival. And it’s a tough job to do the nominating with 2,500+ adoptions happening at our Adoption Center each year. Not to mention we’ve been around for almost 100 years. Do the math…that’s a lot of dogs to pick from! So, we had a brilliant idea! Why not let someone else do the nominating, that way we ensure not one dog is left behind! (That’s what we are all about here, isn’t it?!) 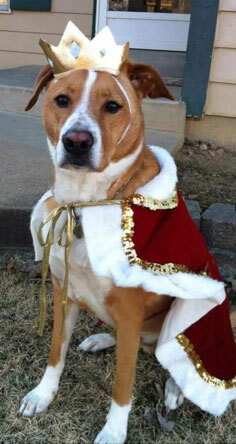 This year’s King and Queen nominations for Canine Court are up to YOU! Anyone can nominate any dog! It can be your dog, a friend’s dog, a neighbor’s dog. Any breed. Any age. From anywhere. We don’t want to leave anyone out. You can nominate your favorite canine companion HERE. Once a dog is nominated, people will vote for who they think should be this year’s King & Queen on our website. Each dog will receive its own webpage with an individual link to share with their pack for easily accessible voting. Voting is simple and it will also help homeless pets at the Adoption Center. One vote = $1. Voting will begin on September 9th, so stay tuned! Spread the word and best of luck to all of the nominees!